« All the fun of the Fair - and the Festival! Although there are currently several potential drugs for ceoliac disease in development, there’s only one treatment for now: follow a gluten-free diet. Once you have eliminated gluten from your diet, your intestinal lining should begin to heal and other complications, such as skin problems, fatigue, headaches and malnutrition should also begin to resolve. It’s difficult to eradicate gluten from your diet - it’s found in so many staples of the food cupboard. It takes a fair amount of research and practice before you can expect to get it right and get rid of all gluten. 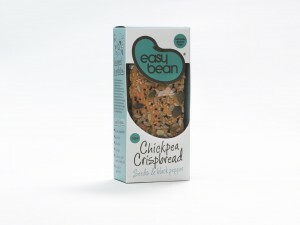 Several Easy Bean products are gluten-free, such as our Chickpea Crispbreads – we hope they help.